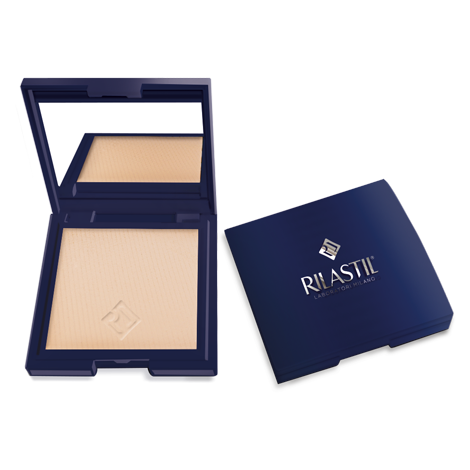 Rilastil Maquillage Perfecting Compact Powder is a transparent velvety powder that sets the makeup, making the complexion even and matt. Its impalpable, ultra-sensorial texture matches every complexion, ensures an impeccable makeup and grants a soft, silky skin. The skin preserves its natural beauty, application by application. 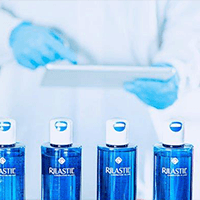 INGREDIENTS: Talc • Silica • Polymethylsilsesquioxane • Octyldo - decyl Stearoyl Stearate • Polyethylene • Dimethicone • Nylon-12 • Dimethiconol Stearate • Polybutene • PTFE • Hexylene Glycol • Ricinus Communis (Castor) Seed Oil • Sodium Hyaluronate • Maltodextrin • Moringa oleifera Seed Extract • Hydrogenated Castor Oil • Tocopherol • Lecithin • Ascorbyl Palmitate • Glyceryl Stearate • Glyceryl Oleate • Citric Acid • Phenoxyethanol • Caprylyl Glycol • Potassium Sorbate • (+/-) Titanium Dioxide (CI 77891) • CI 77491 (Iron Oxides) • CI 77492 (Iron Oxides) • CI 77499 (Iron Oxides) • CI 19140 (Yellow 5 Lake) • CI 15850 (Red 7 Lake).